The number of casualties in Syria’s besieged East Ghouta enclave are soaring as the capacity to provide healthcare is in its final throes. Hospitals and clinics supported by MSF have seen more than 3,700 wounded and more than 700 dead after just seven days of intense bombing and shelling, from the evening of Sunday 18 to the evening of Sunday 25 February. However, these figures are certainly an under-estimate, as the number of facilities that were able to report is decreasing, and many facilities in the area that MSF does not support have also received wounded and dead. On Friday 23 February, women and children represented 58 percent of the wounded and 48 percent of the deceased recorded by the nine MSF-supported facilities that managed to report figures. 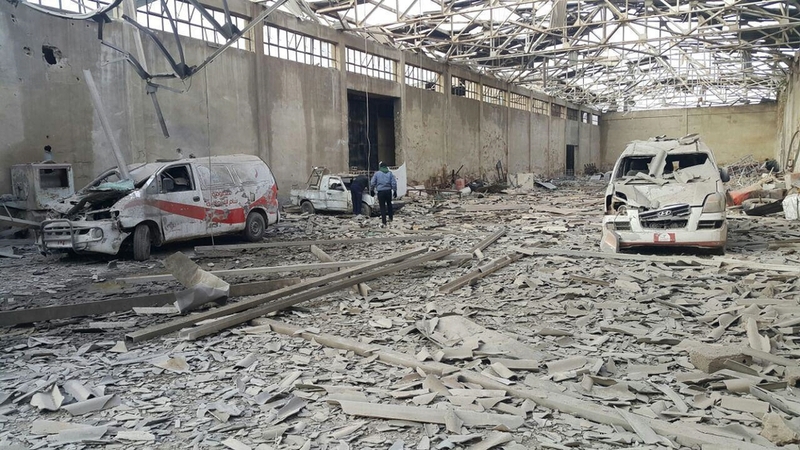 Over the same period 13 medical facilities, fully or partially supported by MSF, have been hit by bombs or shells. Medics in East Ghouta who were already pushed to the brink have been working now for seven days straight, without a break, with no realistic hope of being able to adequately treat their patients in such extreme circumstances. We are calling for an immediate ceasefire to enable the basic human act of helping the sick and wounded. “There is a level of desperation and exhaustion that comes from working round the clock, finding no time to sleep, no time to eat, permanently surrounded by bombing, and simply being in the middle of absolute distress. On the third day of this offensive, the medics that MSF supports were calling for increased medical supplies. Now, after seven days of incessant bombardment, they are saying that even with supplies they would have no physical capacity left to keep treating the wounded. They are calling for the bombing to stop. As the war in Syria has increased in intensity, the frequent calls by MSF and others for International Humanitarian Law (IHL) to be respected have fallen on deaf ears. MSF is now adding a specific plea: for the medics to be able to do their job. The shelling and bombing by the Government of Syria and the armed opposition groups in East Ghouta must pause immediately - we call on the supporters of these belligerents to use their influence to alleviate this extreme situation. With high numbers of medical facilities hit and damaged or destroyed, with roads for transferring patients either impassable because of bomb-rubble or from fear of bombing, with medical supplies limited or entirely lacking, and with extraordinary numbers of patients and exhausted medics, a humanitarian response is urgently required. Ensure before, during and after any pause in fighting that civilian areas on both sides, including medical facilities, are not hit. Header image: The last two functional ambulances in the Al-Marj neighbourhood of East Ghouta were destroyed beyond repair in an aerial bomb attack on 5 December 2016.